Zest were asked to deliver a national campaign for Vita Student properties. Vita needed an engaging cocktail masterclass delivered in 13 locations in one day across the UK, including properties from Edinburgh down to Southampton. 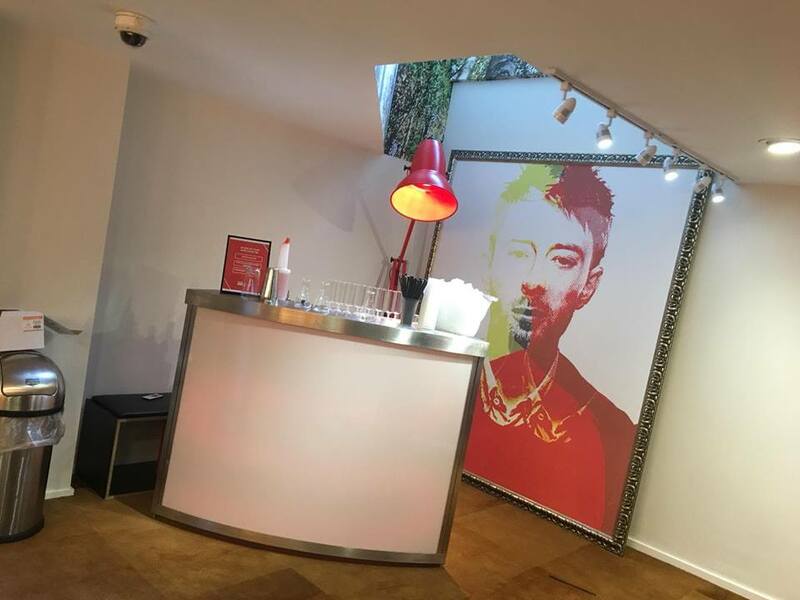 Each location needed a pop up bar, all the ice, alcohol and garnishes for a set number of themed cocktails, cocktail glassware and experienced cocktail mixologists to deliver each service to a high standard. After deciding with the client upon a Science Masterclass themed event we set about planning the multi location event. We installed 13 LED illuminated bars including curved 1.5 metre pop up bars and 2 metre straight bars in 13 locations up and down the country. We sent two experienced cocktail mixologist’s to each property to deliver an engaging Science themed cocktail masterclass with the students. 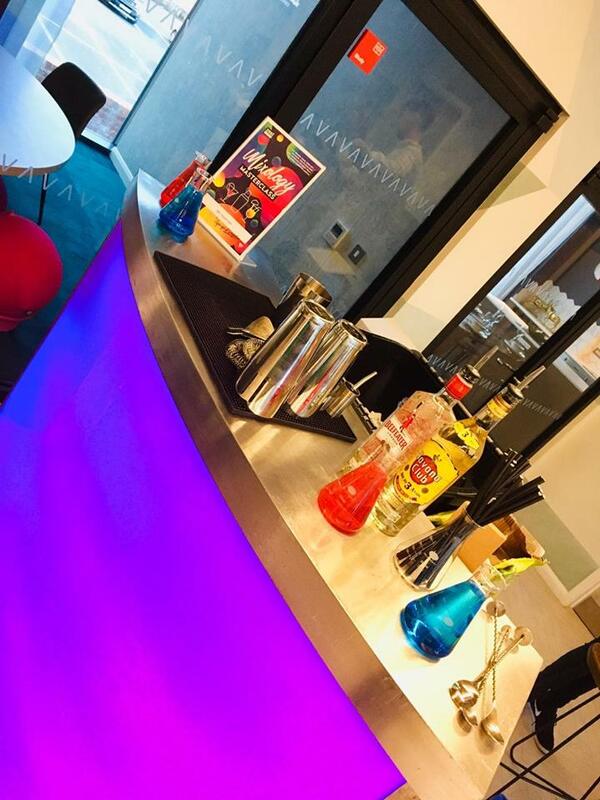 To fit in with the Science theme we had the mixologist’s wearing lab coats and goggles, we added themed items to the bar like conical glasses filled with brightly coloured liquid and framed menus for each bar. We also supplied speakers for each bar to play Science themed noises. The students loved the interactive element of the masterclasses and we were asked to return to selected locations across the VITA portfolio to deliver Halloween and Christmas themed cocktail bar experiences. Need a National campaign rolled out across several locations at once or over a period of time? We can develop the perfect pop-up drinks solution to fit your brief.